HCM CITY — Co-operation between farmers, co-operatives and enterprises in HCM City needs to be strengthened further, a seminar to promote trilateral cooperation heard on Thursday. 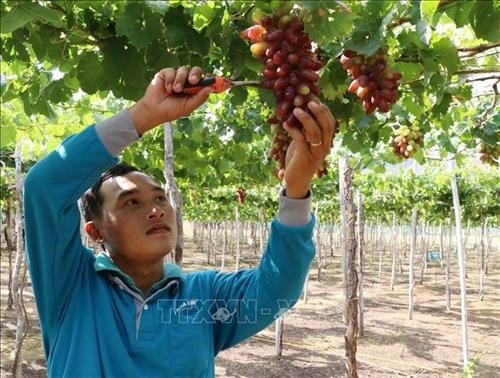 Trần Ngọc Hổ, deputy director of the city Department of Agriculture and Rural Development, said: “Enterprises would like to increase co-operation with farmers through co-operatives to ensure steady supply. The city subsidises interest on credit for enterprises to buy agricultural produce while the Government has policies to encourage co-operatives to collaborate with enterprises to increase consumption of agricultural goods, he said. Cấn Sơn Trường, a senior department official, said: “However, co-operative managers’ low awareness and knowledge mean they are not able to meet the needs of enterprises or farmers, while many co-operatives depend on support from Government rather than do business themselves. “Poor infrastructure, limited finance and low management skills are weaknesses that plague co-operatives. "Agricultural lands are shrinking while farmers, co-operatives, and enterprises do not co-operate closely, he said. To improve the situation, his department would urge the city People’s Committee to identify key agricultural products and draft policies to encourage such co-operation, he said.